DJ who became one of the most in-demand in America, deejaying the weddings of celebrities like Beyonce as well as high-profile events like the 2009 inauguration of President Barack Obama. In addition to his DJ work, he has released original songs like "Calling All Hearts" and "Future Is Mine." He started deejaying at New York nightclubs as a senior in high school. He was discovered by mogul Sean Combs while working at the Manhattan club Lotus. He has been known to use a 24-carat gold microphone during live performances. His real name is Cassidy Durango Milton Willy Podell. 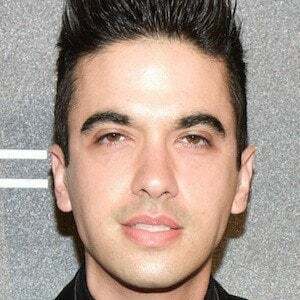 His father is music agent Jonny Podell. He has dated former Danity Kane singer Aubrey O'Day. His single "Make the World Go Round" features R&B star R. Kelly.